Toning is the second important step in the cleansing process. It refines and tones the skin. After the skin has been cleansed, skin toners are applied for their astringent qualities, cleaning and reducing the size of pores and wrinkles so that dust and dirt will not enter as easily. 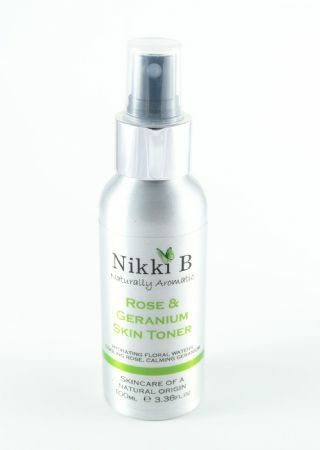 Spray on the skin to soothe irritations and lower swelling and blemishes. An excellent daily skin tonic and due to the natural ingredients it can also be used as a hydrating product for instant refreshment. Geranium Floral Water, Rose Floral Water, Vegetable Glycerine. Pelargonium graveolens (geranium) floral water, Rosa damascena (rose) floral water, Glycerine (vegetable glycerine), Sodium benzoate & potassium sorbate, Citric acid, Citral*, *Eugenol*, Geraniol*, Citronellol*, Farnesol*, Limonene*, Linalool*. *naturally occurring in essential oils. "Wonderfully refreshing - a great addition to my skincare regime." "I love using this product. It's light yet very effective and smells heavenly! Goes a long way too. Feels great on my skin. 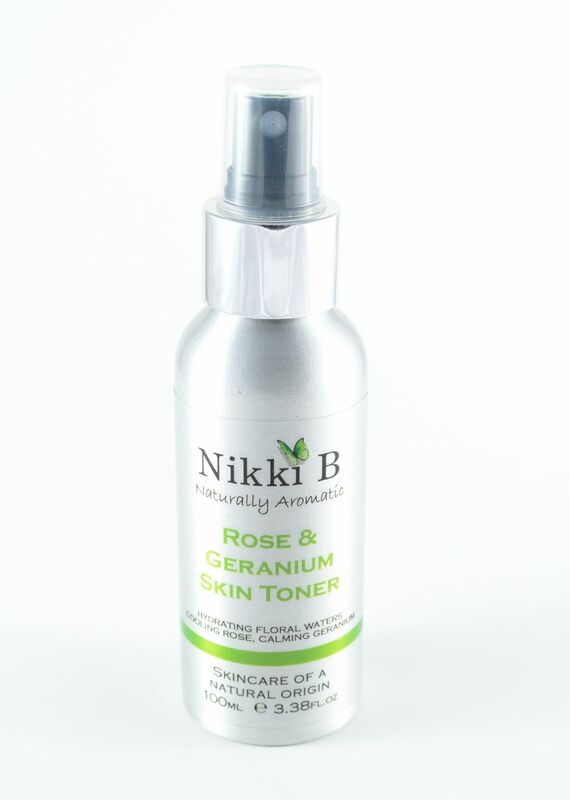 Definitely recommend it as a toner." "I've been using this toner along with the cleanser for the last year and I love it. It's so refreshing when you spray it on your face and smells amazing. I've also used it just to freshen my face on a hot day! Using it alongside the cleanser I've seen a real improvement in my skin, I rarely see spots now. It's like a salon facial in your home!"